The management of GPH Ispat Ltd. bears the philosophy of societal marketing and believes that only the right quality of building materials should be used in the infrastructural development of Bangladesh. In this regard, it has set up a quality control practice that can ensure right quality products as per various national and international standards. GPH Ispat Ltd. also believes that only the right quality products can survive in the competitive market. 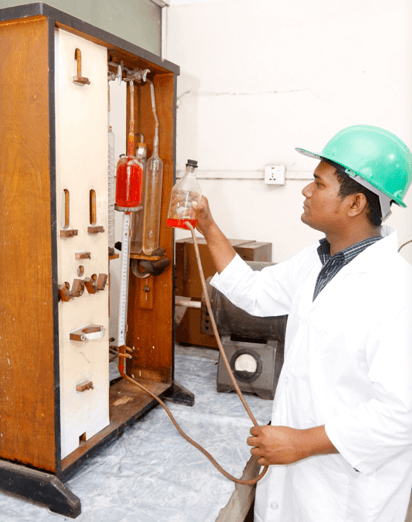 This laboratory is equipped with machineries &equipments, glassware and chemicals from various reputed manufacturers of Germany, Italy, Taiwan, South Korea, China, India and Bangladesh to provide chemical analysis facilities of various raw materials and products. 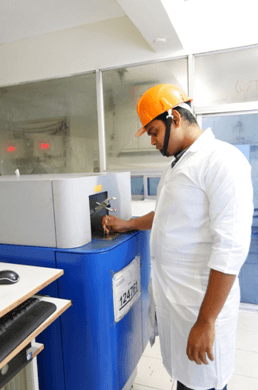 Experienced Metallurgical Engineers and chemists conduct these tests. All the raw materials and inputs are analyzed chemically before use and only the prime quality raw materials are used for production of billets. GPH Ispat Ltd. has the latest version of Spectrometer from Spectrolab, Germany. With this machine, 24 elements of steel can be checked by a single spark within a moment. The results of spectrum (spark) are highly precise and virtually errorless. The elements that can be tested by the single spark are carbon, silicon, manganese, phosphorous, sulfur, chromium, molybdenum, nickel, aluminum, cobalt, copper, niobium, titanium, vanadium, tungsten, lead, tin, arsenic, zirconium, calcium, antimony, boron, nitrogen and iron. At various stages of production of billets, the molten steel at Induction Furnace as well as at LRF, is tested for adjustment of chemical composition of the baths. After casting, billets are finally tested for final chemical composition and stacked as per the grades and rolling sections. Only the prime quality billets are used in Re-Rolling Mills to produce debar. This unit has two machines: (1) 1000KN Servo-Mechanically controlled Computerized Universal testing Machine from Hungta Instrument Co Ltd., Taiwan and (2) Brinell Hardness Tester from Foundrax, Britain. Both the machines are highly sophisticated and unparallel in the South Asian region. 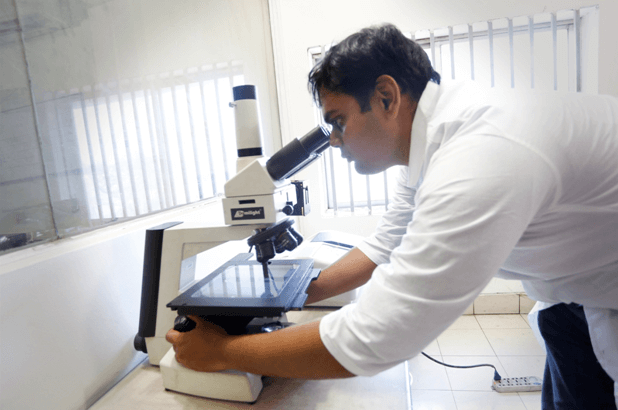 Tests are conducted as per various national and international standards. 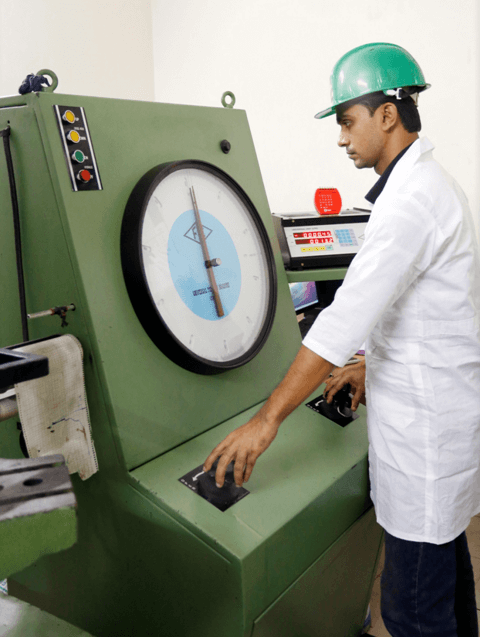 Usually the following mechanical properties are measured by the Universal Testing Machine: (i) strength (yield strength, ultimate strength and 0.2% yield strength), (ii) ductility (% elongation and bend-ability). These tests are usually conducted as per the concerned ASTM standards. The hardness tester is used to measure the hardness of the steel bars and billets.